What Kind of Wedding Photography Do You Like? One of the most exciting parts about the wedding industry is how diverse the styles can be — and wedding photography is no exception. Now more than ever before, photographers are expanding into new horizons and challenging themselves (and others!) to be more creative and unique. 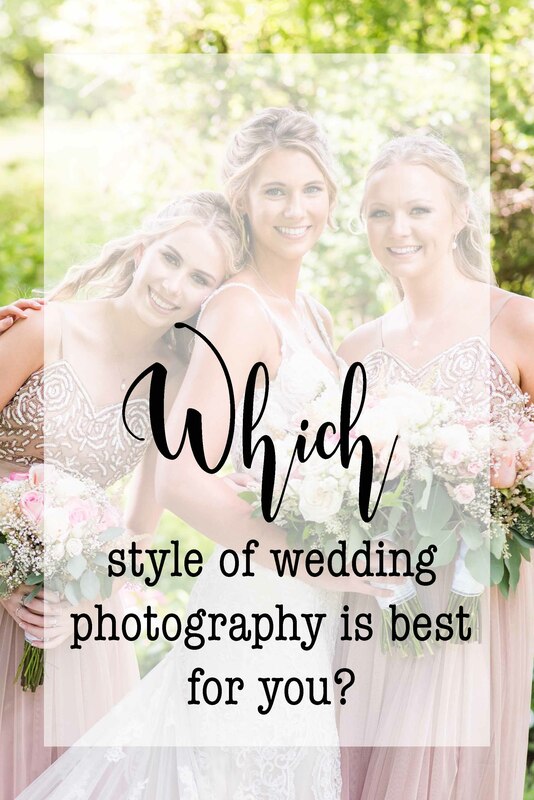 However, while some couples may already start planning their wedding knowing exactly what style they are going for, others can feel a bit lost or overwhelmed when choosing their wedding photographer. With all of the changes and growth that have happened over the last decade, I wanted to highlight a few of the key factors involved when finding a wedding photographer who has a style you love. Nowadays, almost all wedding photographers do both candid and posed formal photographs. However, the degree in which any given photographer engages in concern for aesthetics, emotion, raw events, etc. during various parts of your wedding day may vary greatly. Also, there are discernible editing styles that should be taken into consideration. We have found that style can be broken into two polarized segments, each segment containing a few main styles. The two segments are Perspective Approach and Editing Style. Approach has to do with the type of perspective the photographer embraces in regards to capturing photos. Editing style has to do with the overarching way the photographer edits their photos. There are many “sub approaches and styles”, so these two segments don’t necessarily put photographers into a box. Many photographers may embrace a hybrid approach, falling somewhere in between. Also, almost all photographers will take some candids. These terms are just useful in helpful you decide on the basic approach and style of photographers you’re considering. 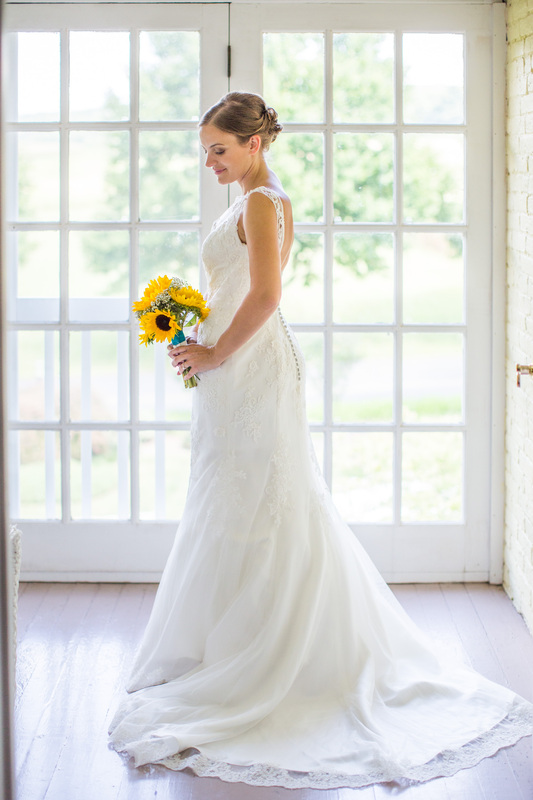 Generally speaking, you’ll want to choose a photographer with an established editing style. Otherwise, you won’t really know what you’re getting in the end. Editing can be a very involved process, and their are usually techniques that require a lot of specialization. So, unless you want a jack-of-all-trades-master-of-none, your safest bet is to find a photographer whose style is consistent. Otherwise, you might hire them for one reason, only later to decide you dislike their edits. Photojournalistic Approach: Photographers who focus on storytelling through images can be considered as having a photojournalistic style. This work captures authentic moments, including candid shots of wedding guests and the bridal party throughout the day, and share with you usually in a chronological way. But it also often involves taking photographs that showcase a variety of details as they lay, helping the foray of photos come together cohesively so as to tell the story of the wedding couple and their big day. One of the biggest aspects of photojournalism is letting the day happen naturally, and capturing photos that weren’t structured or guided by the photographer. This is what I call being “a fly on the wall”. Editorial Approach: Editorial photographers tend to more deeply focus on aesthetics and achieving a certain style of poses. These photographers are typically a lot more focused on posing their subjects and creating drama through angles and positioning. They may also be a lot more experienced with styling photos of details and adding many post-production effects, layers, and filters. The strength of this style is that it can achieve aesthetically beautiful photos. 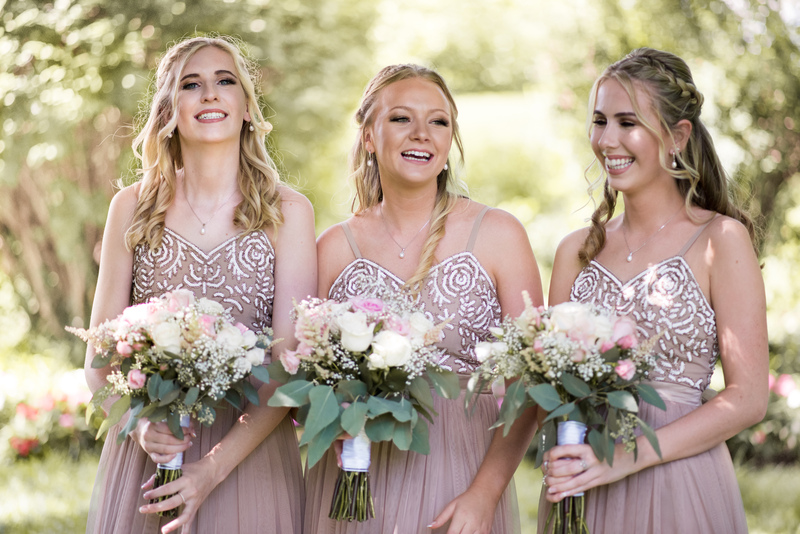 However, many brides and grooms are less concerned with fashion-centric poses and more concerned with the story and natural unfolding of emotions and interactions throughout the wedding day. At the crossroads of these two approaches is a mixture. This mixture involves telling the story of the day like a photojournalist, while also taking a more hands-on approach to giving helpful instruction on things to produce a more aesthetic photo. This might include suggesting to stand in good light when getting into your dress vs a just letting you stand where you end up. Or another example would be the photographer providing tips on posing so that you can feel more confident to relax and just be yourself during portraits (instead of worrying about what to do with your hands!). My Approach is to position myself to capture raw candids as they occur as well as gently control and guide you into flattering scene and to care for your basic “posing needs” so that you can look and feel your best, while still remaining candid and photojournalistic. I also tend to approach details in an aesthetic and styled manner when possible, helping to balance out my documentary approach. You should know that for the balance of the wedding, I don’t hesitate to use what I call my “gently assertive” directing skills. This is where you want a photographer who isn’t passive and meek, but neither arrogant or barks at your guests. An exceptional photographer isn’t just an artist, but also a director of people, particularly large crowds. Dark and moody photographers may take photos of a generally bright and colorful scene and turn them into different colors, tones, also making them more underexposed in order to produce their style. Some brides and grooms like this because of the drama or intrigue the altered colors can create, while others prefer a more natural or bright look. This style also tends to exploit textures, contrast, and clarity. Pros: Can be “different” and/or dramatic. Natural/Neutral photographers will usually aim to represent things as they actually were. If the theme, lighting, etc. were bright, the photos will be bright. If the theme, lighting, etc. was darker and moodier, the photos will be darker and moodier. Pros: Accurately preserves the original look—allowing the photos to be bright or moody. Cons: May be a bit boring to some. While photos are of good quality, they will appear as if an iPhone was used to take them. Brighter and airy photographers generally aim to make everything look bright—even brighter than it actually was. Some people like this because it looks so bright, but others may be concerned that they are losing detail in the highlights. Pros: May appear very “ethereal”, pretty, happy, and clean. This editing style tends to hide blemishes and imperfection easily because it washes out with the uptick in brightness. Cons: You can lose detail or photos may appear annoyingly bright to some. My Style tends to land somewhere between the neutral and bright/airy editing style. I want everything to appear very natural, but we also try to eliminate unflattering shadows, or to bring in detail that may have otherwise been lost in the shadows. 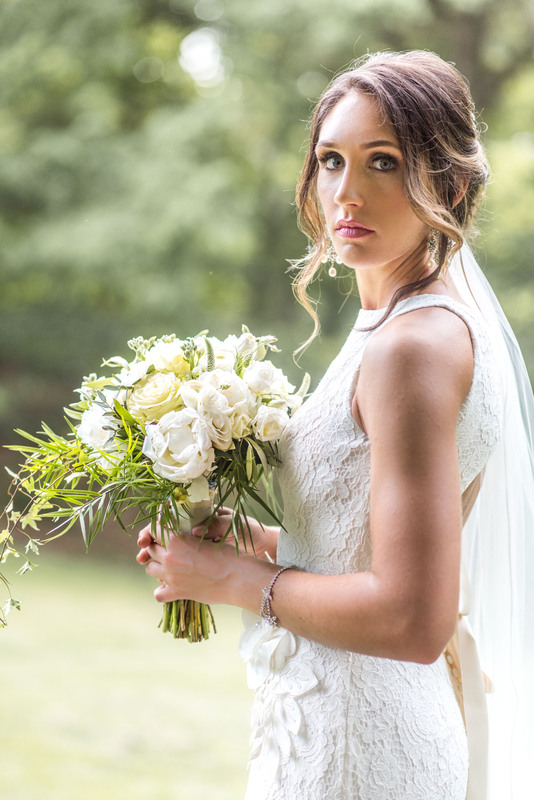 We also aim to preserve highlight details, such as your wedding dress in the sunshine. Our goal is to give you an image that has the most about of preserved detail as possible. This allows us to create both “bright and airy” looking photos, while allowing us to also produce photos with interesting lighting and drama. When I photograph and edit my work, I strive to be true to color in real life. 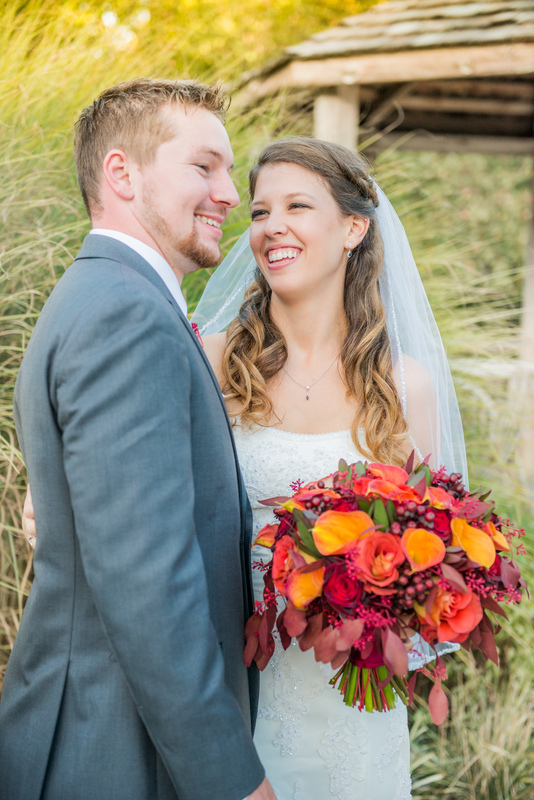 I love the richness and variety that colors offer me so much that I don’t find the need (or want) to change how they appear in photographs from how we saw them on the day of the wedding. I also love to focus on a balance of authentic moments and creative posed shots. This is another great reason why you should hire two photographers. When one of us is capturing all the small details from your rings to the floral decor, the other can be the fly on the wall taking photographs of your bridal party getting ready for the day — without us ever getting in the way. Thanks again for stopping by. I am Joey with Trans4mation Photography. Your engagement and wedding photography experience is my top priority — I want you to cherish it forever! I’d love the opportunity to be your photographer. I look forward to hearing from you!